Kevin Moss discovered as a thirteen year-old that he had a passion for Arabic. Kevin tried to self-study Arabic, but he soon realized that he needed an immersive experience, so he found NSLI-Y through an online search and applied. He was accepted and was soon off to Cairo, Egypt, where lived with a host family, studied Arabic, and took Egyptian Colloquial classes in. 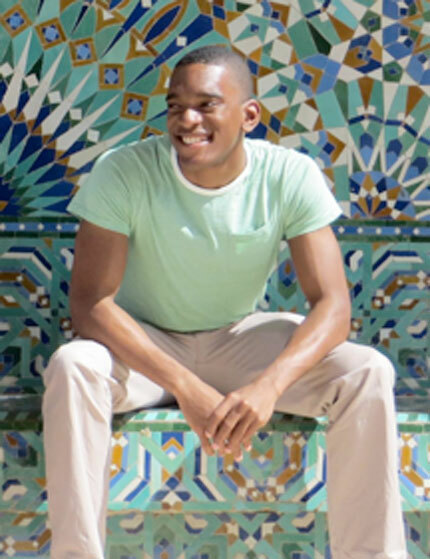 After completing NSLI-Y, Kevin studied Arabic at Middlebury-Monterey Academy in Ohio, and studied abroad at Yarmouk University in Jordan in 2011, at Mohammed University in Morocco during the Spring Semester of 2013, and at the American University of Beirut in Lebanon the summer of 2013. Kevin continued to participate in State Department-sponsored scholarship programs: he was awarded the Benjamin A. Gilman Scholarship for his Arabic Study in Morocco in the spring of 2013, and he also received a Critical Language Scholarship (CLS) to study Persian in Tajikistan in the summer of 2015. Pursuing his passions for foreign affairs, Kevin applied for and was awarded the prestigious Pickering Fellowship, which fully funds graduate students as they obtain their degrees and complete two paid summer internships. The fellowship seeks talented students who are passionate about international affairs and aims to develop future diplomats who come from a variety of ethnic, racial, social, and economic backgrounds. Kevin has demonstrated his passion for language and foreign affairs and truly embodies the qualities of a cultural ambassador. Since he first participated in NSLI-Y in 2009, he has continued to promote mutual understanding in his various study experiences abroad, and will continue this important work in his career as a Foreign Service Officer. Kevin encourages students considering the Pickering Fellowship and the Foreign Service to study abroad, and says that “Studying abroad, and being immersed in a culture will not only make your resume and story stand out, but also challenge you and force you to hone your communication skills.” His story serves to inspire young students who aspire to careers in international service.